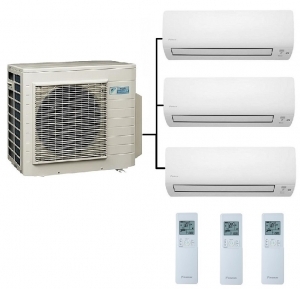 The Daikin 3MXM68N air conditioner and heat pump can run up to three indoor units of different types and styles, in this particular case with three FTXM series wall units of either 2.5kw or 3.5Kw output size. 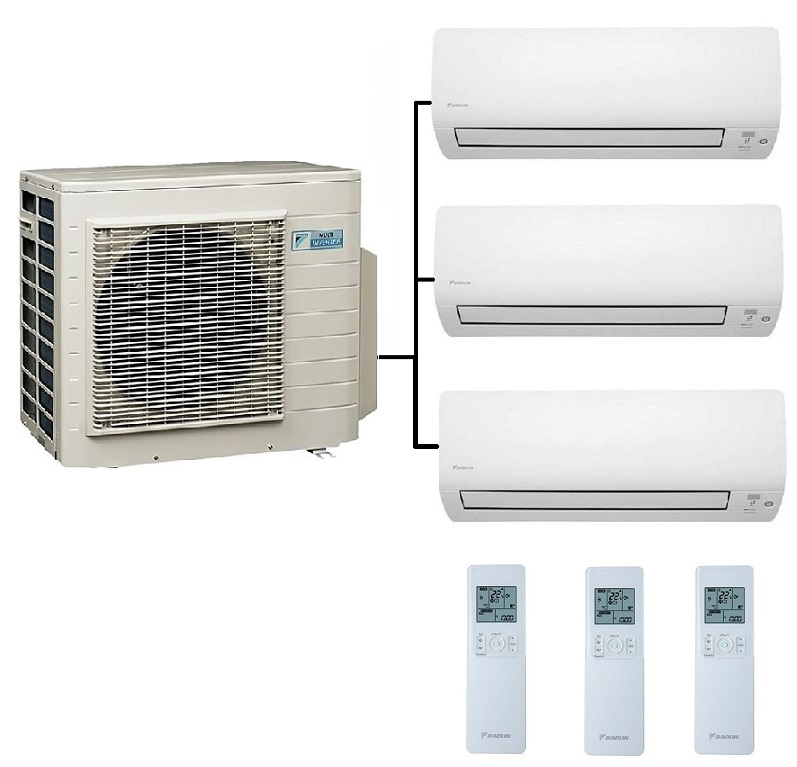 “A” rated for energy efficiency in both be heating and cooling operation the FTXM high wall units have advanced features such air purification filter, 7 day timer and optional Wi-Fi connectivity. Note these are the new R32 refrigerant models.